Mumbai, the capital of Maharashtra is one of the most populated metropolitan cities in the country. It is the home to the world’s largest film industry and several manufacturing industries attracting immigrants from all over the country. Over the past few years Mumbai has seen a steep rise in terms of economic growth, education and infrastructure but Mumbai also suffers from urbanisation issues. While the city is progressing a major part of the population living in the slum areas lie neglected in poor conditions. Poverty, raising population, unemployment, poor public health and poor educational and civic standards are some of the raising concerns of the city. The dismal health conditions have led to the raise of diseases like malaria, dengue, skin infections, anaemia, TB etc. 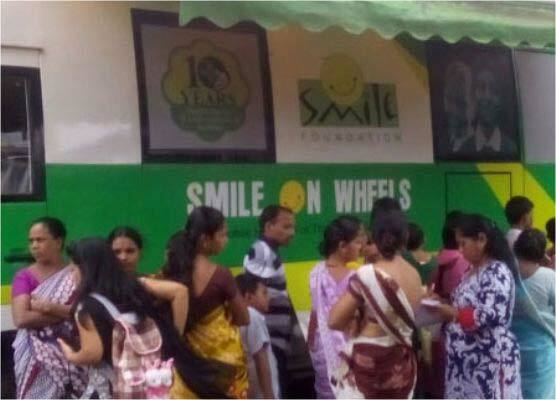 In order to take care of the healthcare needs of the population Smile Foundation intervened and launched a Smile on Wheels project in Mumbai with support from Ericsson India Global Services. The key issues were identified and were found to be raising population in the slums, poor health and sanitation and no access to medical facilities. This called for an approach which would not only address the health care needs of the population but also enlighten them of the benefits of healthy practises. 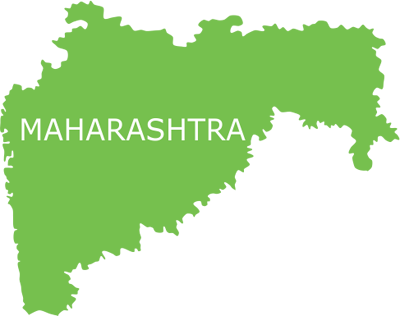 The 10 targeted locations are Dawari Nagar, Hanuman Tekdi, DyaneshwarNagar, Khar Danda, Filmcity, Nirmal Nagar, Kalina, Mahakali, Dindoshi and Malwani of Mumbai. To provide primary health care services to the underprivileged in the identified 10 locations of Mumbai through Mobile Medical Unit (MMU). To conduct health awareness (IEC and BCC) activities to generate the demand and promote preventive measures to improve health seeking behaviour. To develop linkages with nearby government health institutions, private clinics, nursing homes and health centres for referral services. Mass awareness campaigns are also conducted as a part of the health seeking initiative to promote health seeking behaviour. 1005 PATHOLOGICAL TESTS WERE CONDUCTED SO FAR.